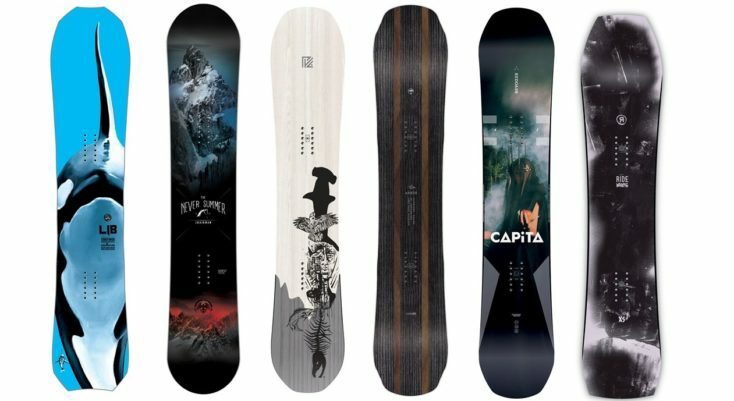 We have gathered the best snowboards 2019 so you can take your pick of these dynamite decks. They say no two snowflakes are alike. The same could be said for snowboards. Ready to rip yet? You better snag your stick, because Old Man Winter is about to get wicked. With several resorts having already fired up their lifts and many more preparing to do so in the near future, the distinct aroma of shred is in the air as it wafts down from the peaks that are once again becoming blanketed in our favorite fluffy stuff. So what’s your weapon of choice this year? Are you going for a plank that will disassemble the park feature after feature? How about something that’ll keep you afloat when the powder seriously stacks up? Or perhaps you’re in the mood for a quiver killer that’ll thrive no matter what you ride? Whatever you fancy, have no doubt that there are a ton of great boards on the menu season. Here are our picks for the best snowboards of 2017 – 2018. These are OUR top picks for the best snowboards of 2018. Get your own. Just kidding, we can share. In fact, we prefer it that way, because we can vouch for how much fun these boards are, and after all, fun is what it’s all about. So take your pick, stay safe, and of course, have a full on blast this season!